Despite the frustration factor, I’ve always enjoyed Tetris. Sure, it’s old-school, but the general puzzle gameplay mechanic led to countless contemporary games, including the insanely popular Bejeweled franchise. So it’s hard for me to pass up a good Tetris post. The only thing better would be to load up the bookshelves with color-coordinated books for each block. I suppose they could have used the official Tetris theme music too. Oh well, maybe next time. 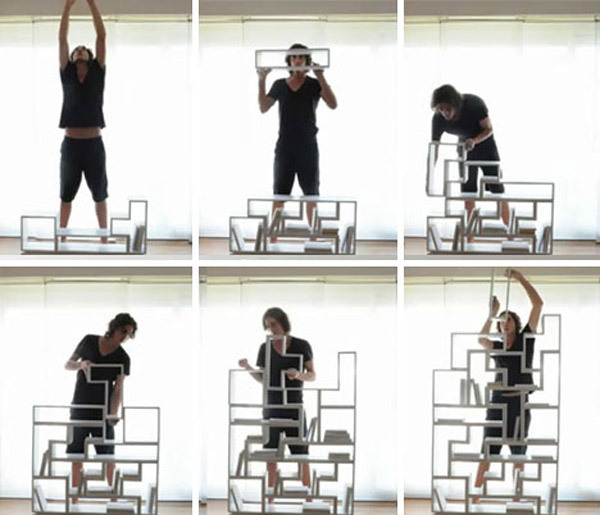 Sure, it’s not quite as impressive as the classic Human Tetris, but it’s still a fun video.